When you are not in the mood for something heavy, where do you go for something light and really fresh? A Japanese restaurant perhaps? Yes, a really good one like Kazumi in Key Biscayne. It was late and we didn’t want to leave the island so we hopped onto the golf cart and went for a spin. Luckily, we stumbled upon a small restaurant at the Galleria mall that looked modern and sophisticated. Hoping the food would be along the same lines, we delved into a very interesting menu of both Japanese and Peruvian specialties: sushi, ceviche, tiraditos and some small grilled plates of mostly beef, chicken and vegetables. Some of the main dishes are grilled ribeye with truffle and ponzu sauce, pork belly and miso cod aside from their daily specials. 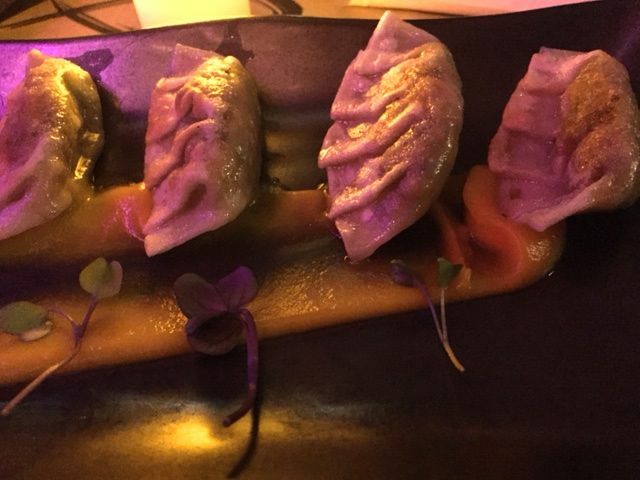 We ordered the delicate homemade vegetable gyoza served over a mildly sweet carrot puree. Rich in flavor, these small mushroom filled dumplings are pan fried after they’re steamed, making them somewhat crunchy on the outside and tender and juicy inside for $8; no dipping sauce needed! 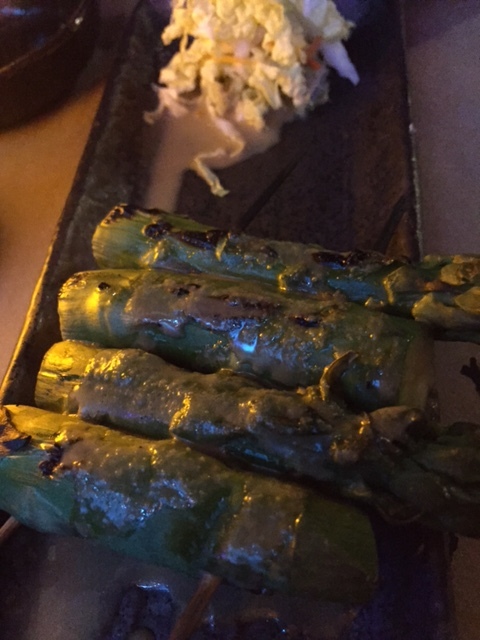 The perfectly grilled asparagus was a small order yet cooked to perfection, you rarely find asparagus cooked this well. 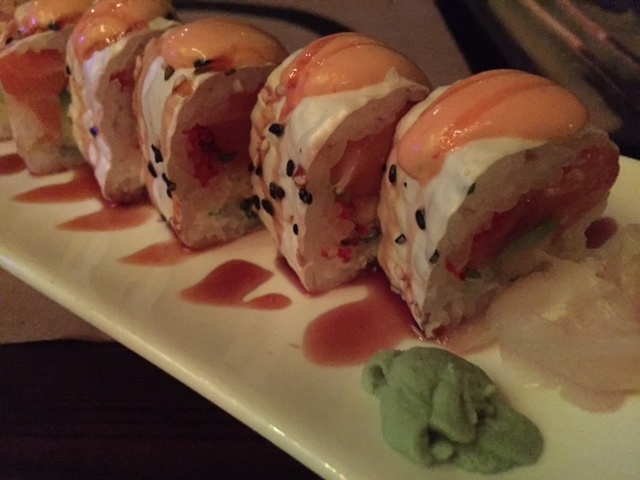 The Buddah roll was the best of its kind that I’ve ever tasted. Fresh salmon, cream cheese, avocado and tempura flakes wrapped in soybean paper with a touch of spicy mayo that gave it a very light kick for $16. 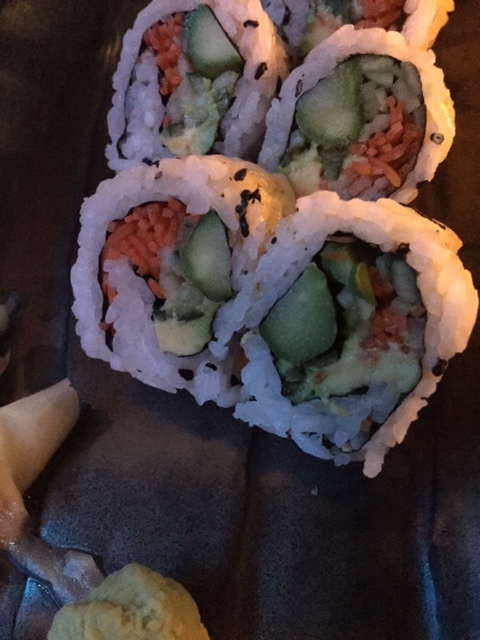 The vegetable roll was equally fresh, loaded with shredded carrots, asparagus and cucumber for $15. Delighful! Finally, a first class Asian restaurant on the Key. As the Japanese would say: Umami!